United for the car industry - WSSE "INVEST-PARK". Wałbrzyska Specjalna Strefa Ekonomiczna "INVEST-PARK". 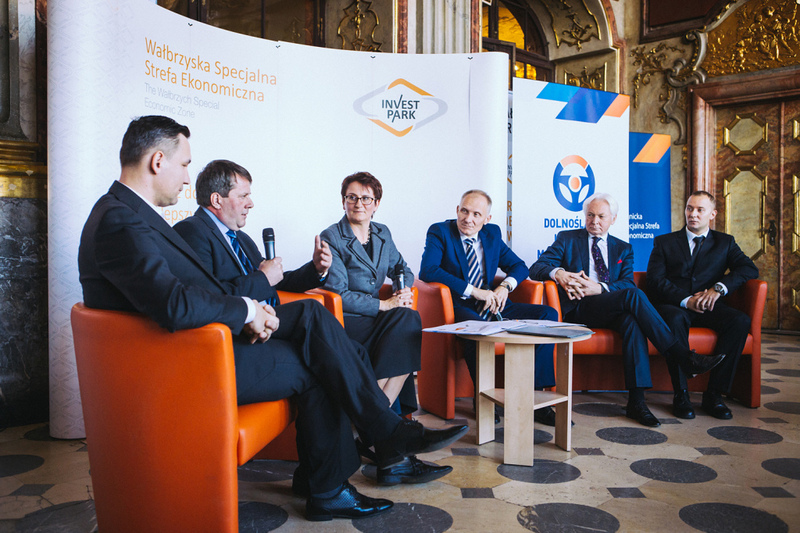 The Wałbrzych Special Economic Zone “INVEST-PARK” has joined the Lower Silesian Automotive Cluster, which is coordinated by the Legnica zone. The cluster has been joined by two other new partners – companies functioning in the WSEZ. The official signing of the partnership agreement took place at the Książ Castle in Wałbrzych. “The Lower Silesian Automotive Cluster is an initiative whose primary aim is to unite. We therefore came to a conclusion that it makes no sense to duplicate such organizations. It was a better solution to join an already existing one and invite our firms to join it too,” Barbara Kaśnikowska, President of the Wałbrzych zone, explained during the ceremony. The Lower Silesian Automotive Cluster is a joint initiative of the Legnica Special Economic Zone, representatives of the car industry, Wrocław University of Technology, the Polish Information and Foreign Investment Agency, and the Ministry of Economy. It is intended to combine companies’ potential, encourage cooperation between businesses, universities and institutions, facilitate the exchange of knowledge and experience, and contribute to securing a strong position of the partners internationally. “It is a great opportunity to get to know each other, establish valuable contacts and jointly carry out innovative projects. Although many of the companies compete with each other, it turns out that the cluster enables them to plan purchases together, organize training and talk with potential contractors,” said Rafał Jurkowlaniec, President of the Legnica Special Economic Zone. Alongside the Wałbrzych zone, the first automotive companies functioning within it joined the cluster. The accession declaration was signed by Faurecia, a French producer of car seats and car seat components based in Wałbrzych and Jelcz-Laskowice, and GKN Driveline, a British manufacturer of drive components from Oleśnica. Nysa Zakład Pojazdów, a company functioning within the Strzelin subzone of the WSEZ, had already joined the cluster. “The cluster groups companies that carry out costly research of new technologies. Importantly, they often duplicate their tests. Exchange of experience would enable them to declassify this data and plan R&D work together, which translates into significantly lower costs. This is a win-win solution for all the parties involved,” explained Robert Smirnow, President of Nysa Zakład Pojazdów. Another member of the Lower Silesian Automotive Cluster is Wrocław University of Technology, which is often considered to be one of the best technical universities in Poland. The heads of the university often emphasize the importance of cooperation with business. “First of all, we must know whether we are teaching the students the right things. We must offer courses that respond to the entrepreneurs’ needs,” said Lech Sitnik of the Faculty of Mechanical Engineering of Wrocław University of Technology. “The rules of obtaining funds by educational institutions have changed. In order to secure money for research and development, we must prepare joint applications with businesses. Our participation in the cluster increases our possibilities in this respect,” he added. The functioning of the cluster was inaugurated last November. It currently groups several dozen members. The cluster’s initiatives have included meetings in manufacturing facilities and workshops in EIT+ Wrocław Research Center. The automotive industry is the dominant branch both in the Wałbrzych and Legnica zones. In the WSEZ, there are currently almost 40 firms producing cars and car components. They have created around 18,000 jobs and invested almost 10 billion zlotys. The official signing of the agreement was held at the Książ Castle in Wałbrzych. In the photo: Barbara Kaśnikowska, President of the WSEZ “INVEST-PARK”, and Rafał Jurkowlaniec, President of the LSEZ.